What Effects Can Solar Flares Have Directly on the Earth? How Do Prominences Affect the Earth? 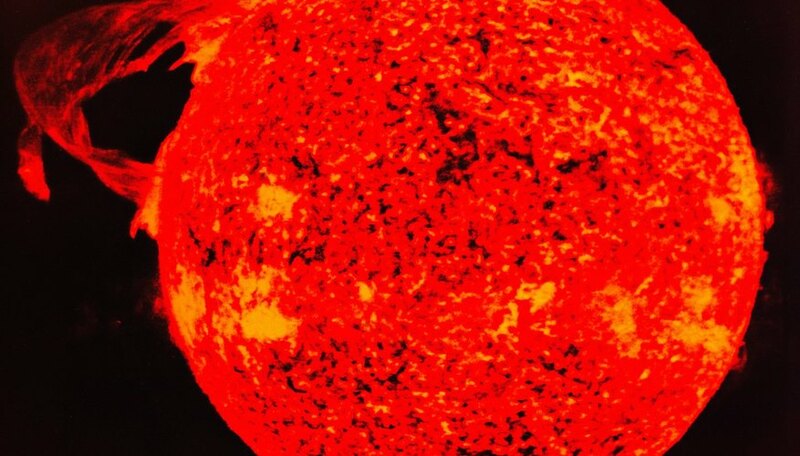 How Do Solar Flares Affect the Earth? Emissions from the Sun create conditions in our solar system that are very hostile to life. Earth’s magnetosphere protects the planet's surface from charged particles of the solar wind. Without this protection, life as we know it would probably not exist on Earth. Liquids circulating inside part of Earth’s iron core generate the planet's geomagnetic field. When combined with the interplanetary magnetic field (IMF) generated by the sun, it produces the magnetosphere, which extends thousands of miles from Earth into space. The solar wind -- protons and electrons emitted by the sun -- travels through the solar system. When the solar wind encounters Earth, the magnetosphere deflects most of the charged particles and shields our planet's surface. 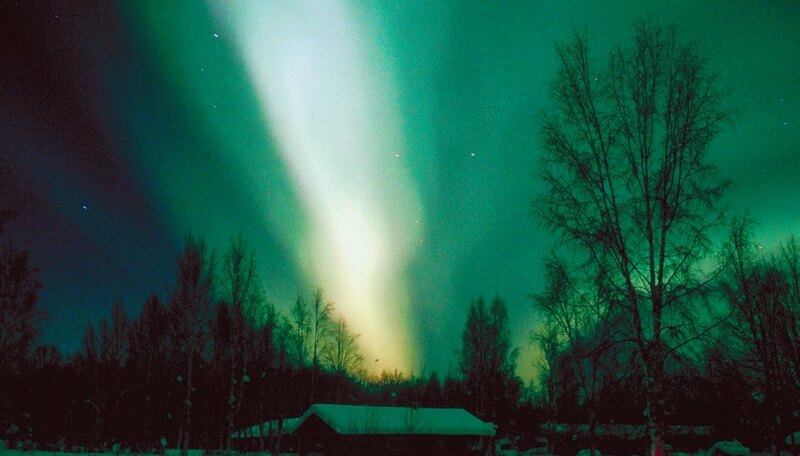 But when the IMF field lines and the geomagnetic field lines are not parallel, they tend to interact, creating a path for the solar wind particles to leak into the upper atmosphere, the most spectacular consequence of which are the auroral displays (aurora borealis and aurora australis) over the higher latitudes. If not for the magnetosphere pushing away electrons and protons of the solar wind, the charged particles would inflict doses of harmful radiation to life on Earth. Astronauts traveling outside the magnetosphere have to be protected from solar radiation. And, high-altitude air travel over the poles, where the shielding effect of the magnetosphere is weakest, is considered risky for certain groups such as pregnant women. The magnetosphere also protects us from disruptions to power lines and telecommunication systems. However, this protection is not absolute. As scientists at the European Space Agency put it, the Earth’s magnetosphere sometimes behaves like a sieve. It does protect us from the solar wind, but not always. Fluctuations in the magnetosphere caused by the solar wind can build up high voltage differences (as high as 10 volts per mile) across very long electrical conductors such as power transmission lines and pipelines. These buildups can severely disrupt system controls. In 1989 in the province of Quebec in Canada, the solar wind caused a massive province-wide outage of electricity. Radio communications are also at the mercy of the solar wind. Disruptions occur only occasionally, when the solar wind is intense enough to penetrate the magnetosphere. However, these events give us an idea of what the situation would be if Earth were not protected. Earth’s magnetosphere is also vital in preventing our atmosphere from being pushed out into space by the pressure of the solar wind. For example, in 2008, Earth, Mars and the sun were aligned so that the same blast of solar wind hit the two planets, one after the other. European Space Agency spacecraft observed that Mars, because of its weaker magnetosphere, lost about ten times the oxygen that the Earth did during this encounter. This event shows that the magnetosphere plays an active role in limiting depletion of the atmosphere. How Long Does it Take Solar Wind to Reach the Earth? How Are Jupiter and Earth Alike? Soonawala, Nash. "Does the Earth's Magnetosphere Protect Us From the Sun's Solar Wind?" Sciencing, https://sciencing.com/earths-magnetosphere-protects-suns-solar-wind-1955.html. 25 April 2017. What Protects the Earth From Harmful Solar Flares?